In the world of ‘wellness’, we’re often told to practice gratitude. And since Thanksgiving is just around the corner, what better time to do so than now? What does ‘practice gratitude’ really mean though? It sounds nice, but how do we put it into action and how can gratitude improve our daily lives? To be quite honest, for a long time I had no idea what it meant to ‘practice gratitude’. I thought I was thankful for what I had because I was able say so out loud, especially around Thanksgiving, but I noticed my actions suggested otherwise. Last January, I had a bad case of the winter blues. I would sit in the bathtub trying to warm up from the cold, scrolling through photos of girls in tropical places on Instagram and cry because I wished my husband and I lived somewhere else. He told me that by wishing for someone else’s life, instead of being grateful for my own, I was creating my own unhappiness. As soon as I stopped doing that, I remembered how much I actually do love winter. Yes, it’s cold but the sun shines all the time, the air is so crisp and the falling snow is beautiful. To me, practicing gratitude means being present in the reality of my life, finding the positive in every situation and finding a reason to feel thankful for it. I recently started reading about the Law of Attraction and thought how to apply it to my own life. The idea behind it is that by focusing on positive or negative thoughts, positive or negative experiences will come into you life. Whether you believe this theory or not, finding the positive in every situation and feeling thankful for it is a skill to be practiced. I find it helps to write down what I’m grateful for, and doing this regularly, just like keeping a journal, makes it easier to instinctively search for the positive aspects in my daily life rather than dwelling on the negative. A gratitude journal is just like any other journal, except it’s for thoughts of thankfulness. I like to write in mine at night, because my reflections from the day are still clear in my mind and also because I am then able to fall sleep feeling content. If you’re feeling the blues like I was, give this a try. You can either answer these questions in point form, or use them as a base to expand and dig deeper into your thoughts. I also like to include thoughts on challenges I’m facing as well as goals I’m working towards. After you’ve been writing in your gratitude journal for a while, your outline may completely change—and that’s just fine because life changes. I hope this helps you find gratitude in your own life, not just throughout the season but all year round. How do you practice gratitude? Do you find that writing your thoughts and reflections down helps process your feelings more easily? ASHLEY WOOD is a recipe developer and writer from Winnipeg, Canada. 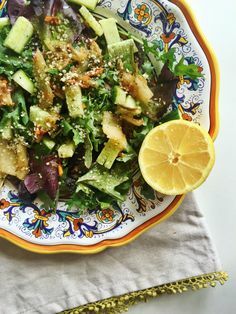 With a passion for health, wellness and vegetables, Ashley creates simple and inexpensive vegan recipes made from whole ingredients that are often seasonal, sometimes gluten-free and occasionally raw. Ashley believe in celebrating the benefits of living a vegan lifestyle and at the very least, hopes to inspire others to eat more plants, smile and live with some Sunshine. Connect with Ashley on her blog, Rae of Sunshine Life, Facebook, Instagram, and Twitter.